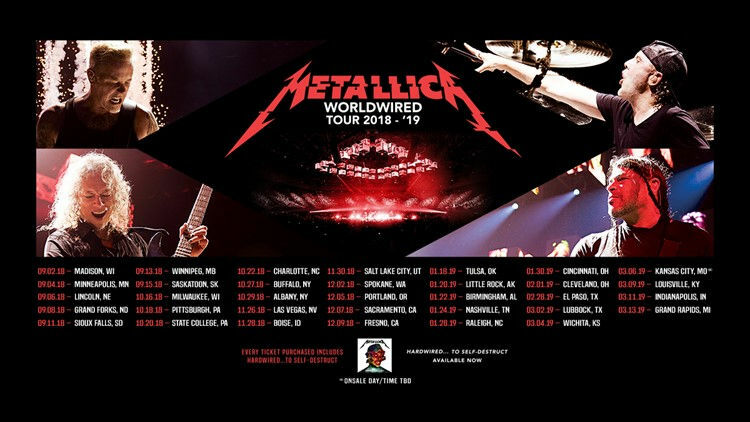 Metallica is coming to Salt Lake City on Nov 30, 2018. I’ve never seen them live, even though they’ve been to Utah a few times over the years. Not sure why I didn’t go before. The show is over 8 months away [from the March 5th date of when this blog post was created] and tickets will sell out unless I can get tickets sooner than the general public sale. I used a pre-sale option I got in an email, which gave me hope that I could find some decent seats for 3 tickets. Buying 2 tickets gives you better odds, and if you are going solo, you have even better odds of getting a closer seat. 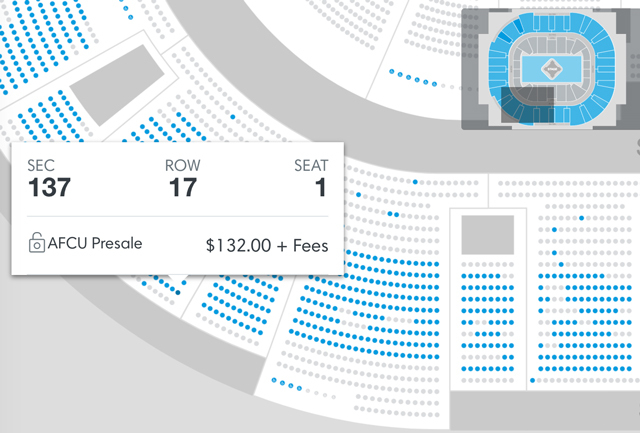 So, as it turns out, the pre-sale option I used still didn’t leave me with many available seats in the lower bowl. And none of the 3 seats are together, but they are at least close enough to wave to each other. And yes, you read that right… $483.25 for three seats. Including the price of the service charge that Ticketmaster charges (which was just under $30 a ticket), that comes to $161 for each ticket. When I was telling a friend how much the tickets were, he asked if bought them from a scalper. Nope. 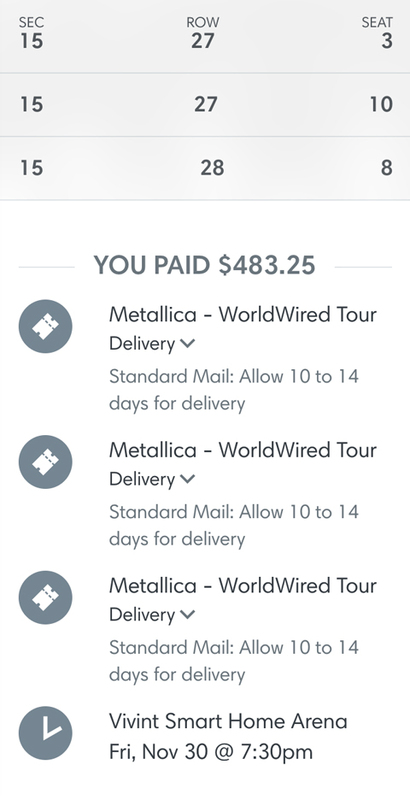 That’s from the official Ticketmaster web site and the face value of each ticket [which was $132 per ticket] was more than I’ve paid for any show in the last 15 years, scalper or legit source. Once I secured the tickets in the lower bowl of the Vivint Smart Home Arena [formerly the Delta Center], I decided to see what other tickets options were available in the upper bowl area. As it turns out, the cheapest tickets for this show [before services charges] were $62.00 each. And upon further searching, only the very last row in the upper bowl area was where the $62.00 seats were. And only single tickets remained, so for those that wanted the most reasonable tickets for this show, you had to go solo. So here is the kicker… just one row closer than the last row where those $62 seats are, the tickets are pretty much doubled at $132, which is what we paid for the lower bowl seats we purchased [not including the service charges]. 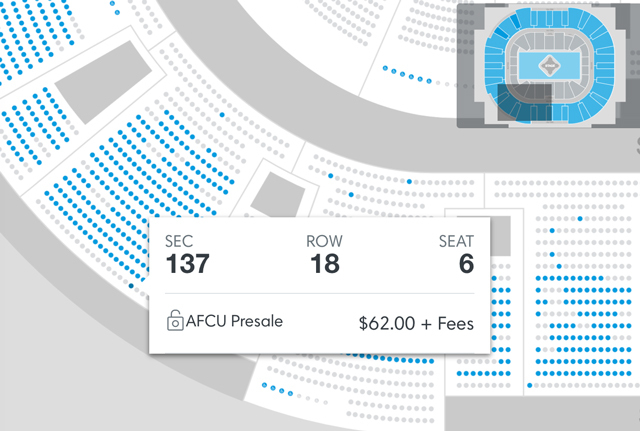 These ticket prices are essentially legalized scalping. I mean, the service charge alone is the cost of a nice meal or the price for what I pay for a lawn seat at the local amphitheater. I know Metallica shows are supposed to be really good. Well, based on what I paid for 3 tickets, this concert better be stellar and epic.